"Overall though, this new reissue is the best sounding of all. The bottom end has more weight and solidity and the instrumental separation and front to back layering is nothing short of astonishing compared to the pleasing mush offered up by other editions. ... Pet Sounds belongs in every serious rock record collection and if you're going to have but one version this one from Analogue Productions is the one to have." — Music = 11/11; Sound = 11/11 - Michael Fremer, AnalogPlanet.com. Read the whole review here. For the early part of the Beach Boys' career, all of their singles were mixed and mastered and released only in the mono format — they didn't release a single in stereo until 1968. In those days, hits were made on AM radio in mono. And the mono of those times worked well for Wilson, who suffers from partial deafness. In fact, for their first 13 albums, Wilson originally turned in all the final mixed Beach Boy albums to Capitol Records only in mono. The mono mixes were where Wilson paid intense attention, and the dedication paid off! Customer Reviews (4.44 Stars) 9 person(s) rated this product. Any fan of this album have owned many different releases of it over the decades. The AP mono release that I'm listening to now is the best that I've heard and takes my appreciation of the album to new level. Chad and crew does it again! This is one of those albums that must be heard on vinyl. I actually never liked the album before I heard it on vinyl and this version is the best I ever heard, esp. with the mastering job. 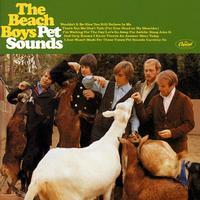 I only planned on getting this one Beach Boys AP reissue, but after hearing the sound quality, I will be getting more. Fellow audio enthusiasts and music lovers, here's one for the ages! Over the holiday break, a friend of mine whom I rate to be exponential more in tune with The Beach Boys than myself, came over for a visit. In previous conversations I had mentioned that I just received the Acoustic Sounds reissue of Pet Sounds in mono which he didn't really know what to make of given he had just about every issue and reissue known to man already. Alas, nothing prepared him for what was about to happen - dropping the "needle" on Sloop John B, he appeared immediately transported to his childhood it seemed. By the end of the song, he had a tear rolling down his face (well, maybe more than one...); then a long pause. With a straight and dry face he proclaimed: "I have never ever heard this song in such quality". So much for all the commercially released reissues having been "faithfully remastered". We listened to many more cuts over the afternoon.